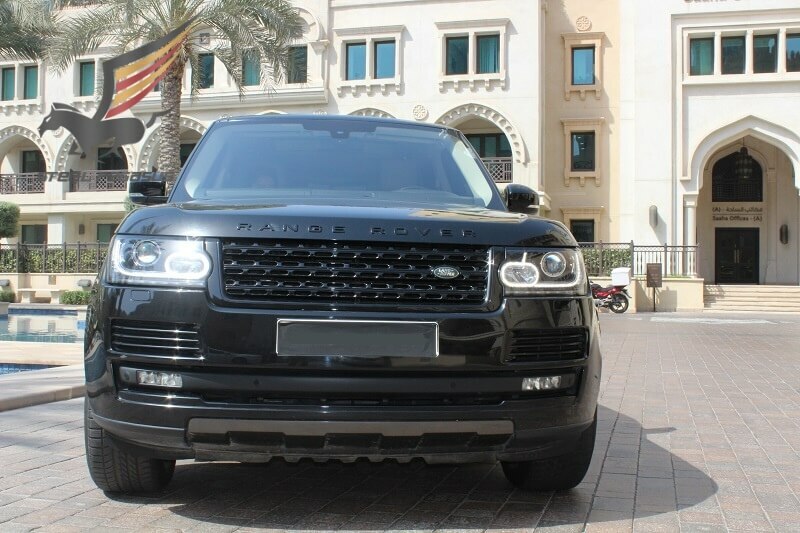 The Range Rover caters to every conceivable need by offering luxury, practicality, and staggering off-road prowess. The 340-hp supercharged 3.0-liter V-6—with an eight-speed automatic and four-wheel drive—offers a decent compromise between power and efficiency. 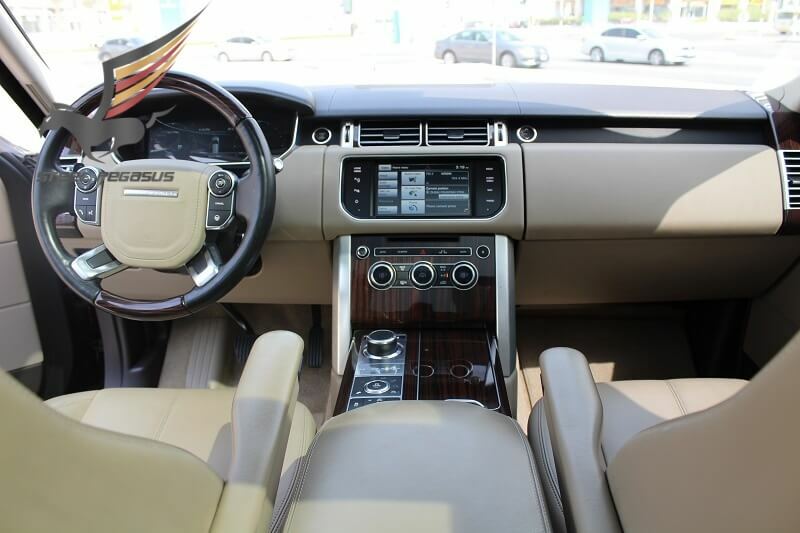 Standard and long wheelbase models are equally posh, especially in Autobiography trim, and feature a long list of high-tech gizmos. 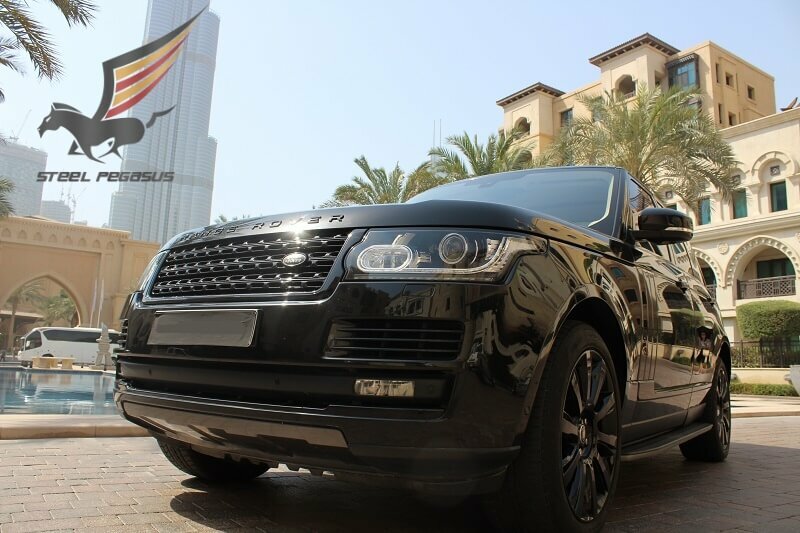 The Rover may be expensive and imposing, but few can quite match this status symbol’s panache. 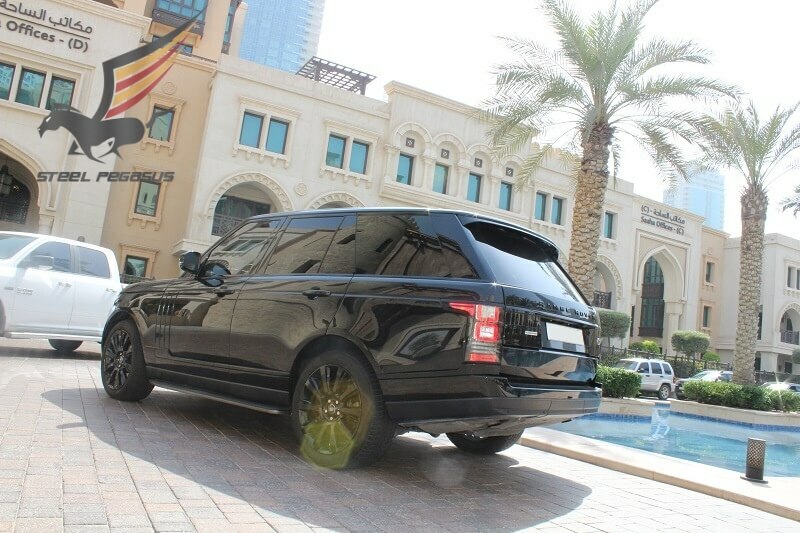 Rent Range Rover in Dubai in different color. 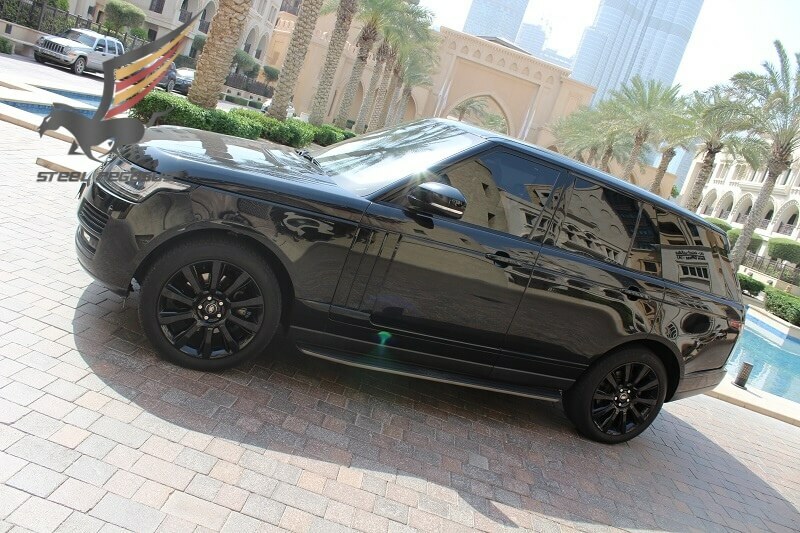 So what you really want to know is how it feels to drive a Range Rover with nobody in it. 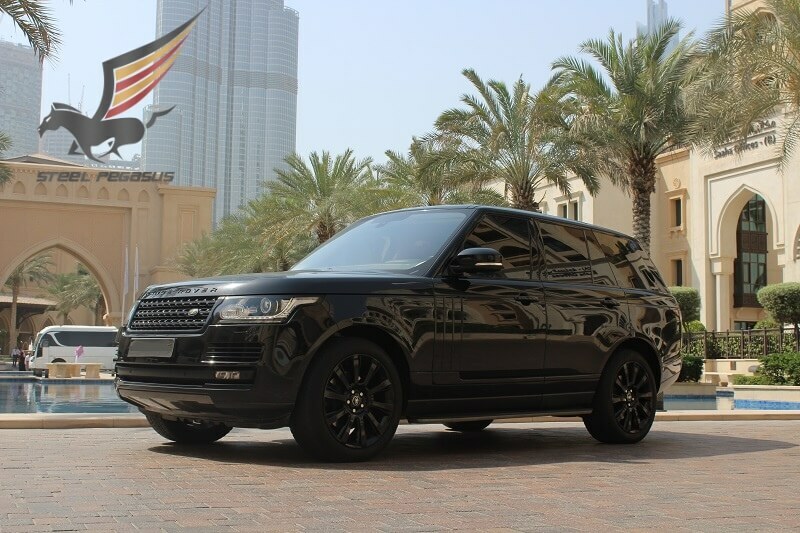 Compared with the outgoing Range Rover, that’s how this new one should feel: empty, unladen. 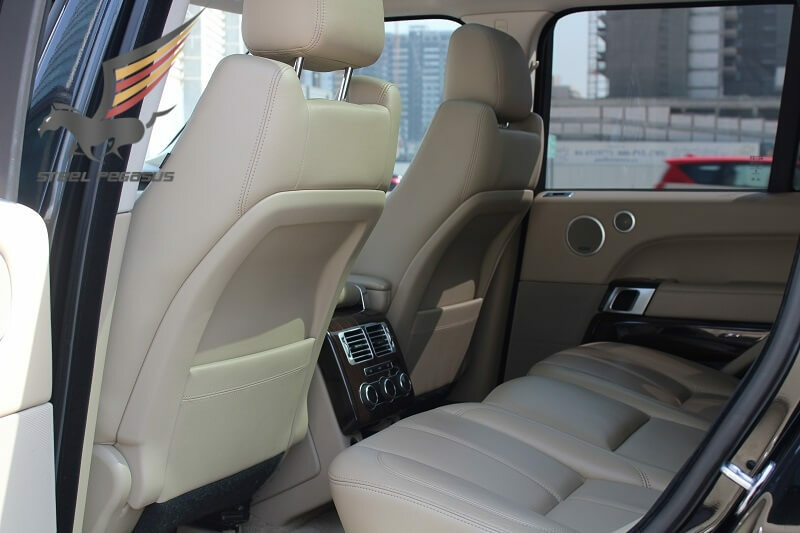 By building what it describes as the world’s first SUV with an all-aluminum unibody, Land Rover has cut a claimed 700 pounds from its flagship; that’s the mass of five average-size Europeans or 4.1 Americans.